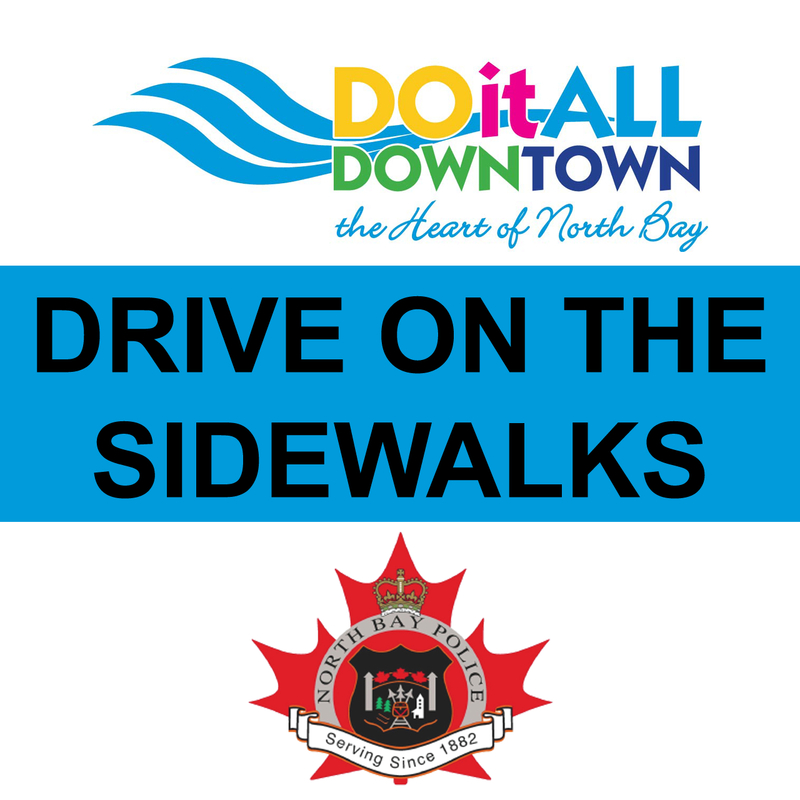 NORTH BAY — Following an unsuccessful campaign aimed at encouraging bicyclists to ride on city streets, the North Bay Police have launched a new campaign asking motorists to drive on the sidewalks. 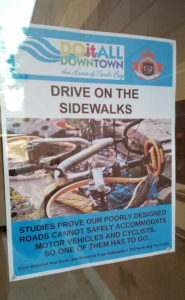 The campaign, entitled “Drive on the Sidewalks,” allows all North Bay drivers with a valid G level license to veer off the road and run down any cyclists they see on the sidewalk. 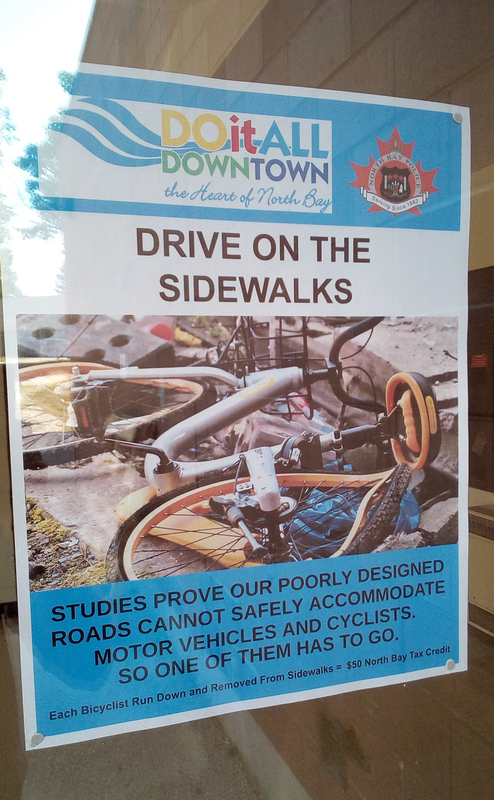 Not only will the driver be immune from any criminal charges, but they will also be given a $50 City of North Bay Tax Credit for each bicyclist removed. After its announcement, the “Drive on the Sidewalks” found early support from North Bayites like Jordan Cummings. Cummings leans back, cracks his neck, and smiles.